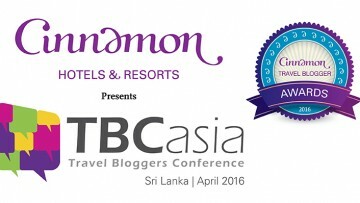 In the 1867, the fortunes of British-governed Ceylon, as Sri Lanka was then known, were enhanced by the building of the first railway track to Kandy and the planting near Kandy that same year of the first field of tea. Tea turned out to be the freight that made the railways profitable, while without the availability of rail transport to the Colombo harbour for its shipment overseas, Ceylon tea would never have reached the outside world. 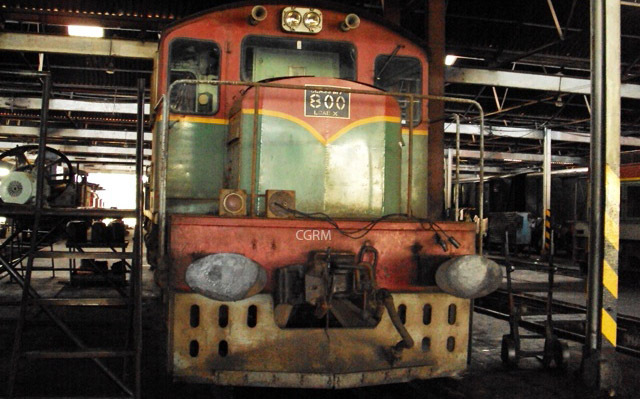 This year, 2014, Sri Lanka Railways celebrates the 150th anniversary of the country’s first scheduled train journey. 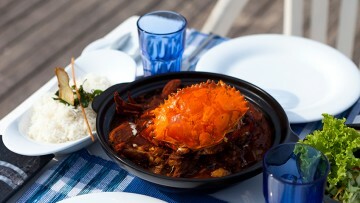 This took place on a sunny day in October 1864, when the first train to make a scheduled journey in Sri Lanka steamed into Ambepussa station, 54km from Colombo. 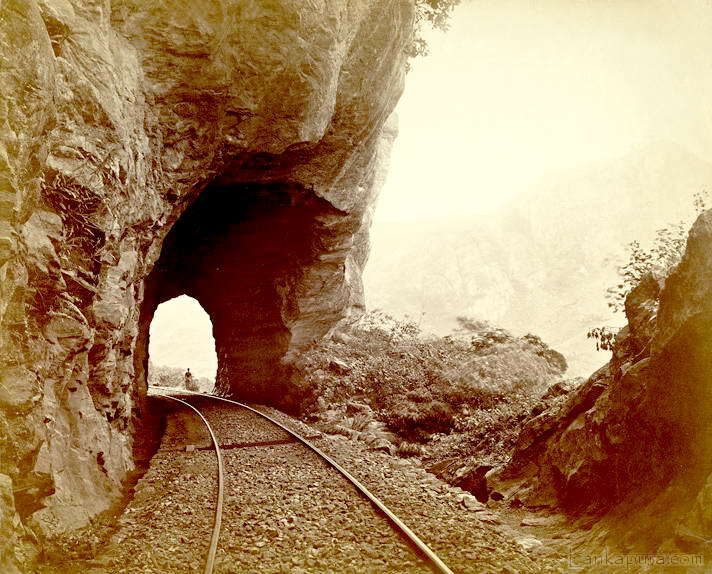 Three years later, in 1867, the railway line to Kandy officially opened. The idea of building a railway was first mooted in 1845. Then a bullock cart averaged 12 days to make the tedious journey of 115km (72 miles) from Colombo to Kandy, climbing from sea level to 488m (1,602ft). 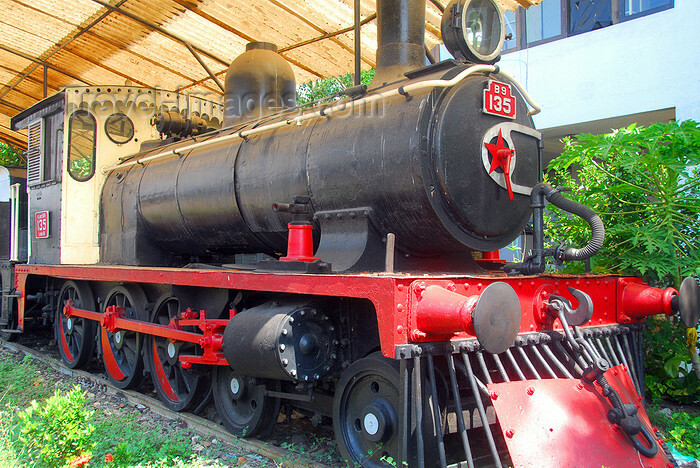 Coffee planters wanted a railway to transport their crop but it was not until 1856 that an ordinance was passed for the construction of a railway line between Colombo and Kandy. A Briton, W F Faviell, who had previously helped construct railways in India, was contracted by the government in 1863 to begin building the line. It was a difficult job and the 3,000 men constructing it were hampered by malaria and cholera, monsoon rains, floods and landslides as well as rocky, hilly and steep terrain. Once the track was laid, rail travel by train became very popular, with the puffing steam engines becoming known as yakada yakada. Although the words mean Iron Devil in Sinhala , they are also onomatopoeic, capturing the sound made by the engine as it gathered rhythm and rattled over the points: yakada…yakada. The first engine to steam into Kandy was manufactured in England by R Stephenson & Co and went on to serve the Ceylon Government Railway (CGR) for 60 years. The passenger coaches were uncomfortable four wheeled carriages, the only luxuries being projecting sun shades, bonnet-type side ventilation, glass drop windows and a double roof with coconut oil lamps. The railway opened 11 years after the first line in India and reached Kandy just 52 years after the once-unconquerable hill kingdom had fallen to the British. The rolling stock at the beginning consisted of 15 goods engines with 65 coaches and 200 goods wagons. With the opening up of the hill country by planters there was soon a demand for the railway to be extended to keep pace with the spread of tea. As a result, the line from Peradeniya was laid to Gampola by 1873 and, in 1885, to Nanu Oya (205 km from Colombo) for Nuwara Eliya. 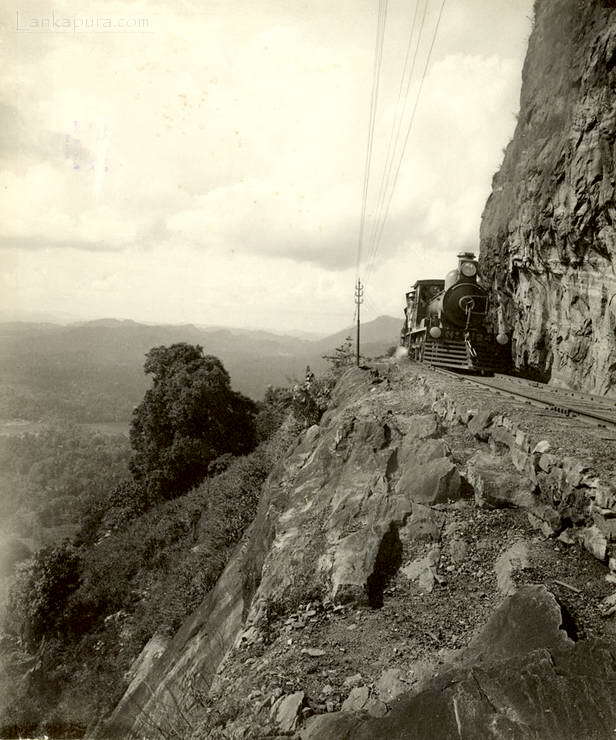 It wasn’t until 1894 that the line was cut through the hills, rising to its highest point of 1,898m (6,226ft) above sea level just beyond Pattipola station, to Bandarawela (197km from Colombo). This section is still regarded as one of the world’s great scenic railway journeys as well as an amazing engineering achievement. The railways spread northwards with spurs to Matale from Kandy in 1880 and another from Polgahawela to Kurunegala in 1894, reaching Anuradhapura (206km from Colombo) ten years later. 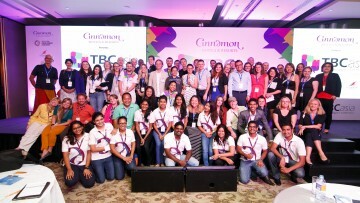 A line was also laid southwards from Colombo 116km along the coast to Galle and on to Matara (160km). By the end of the 1920s, the total network consisted of 1,530km and the railway was making a profit. A decade later, as road transport improved, that profit had turned to a loss. A hundred years after its inauguration, the inventory of CGR had expanded to 225 steam engines and 120 diesel-powered locomotives and rail cars. Fifty years later there were only four steam locomotives remaining in operating condition. 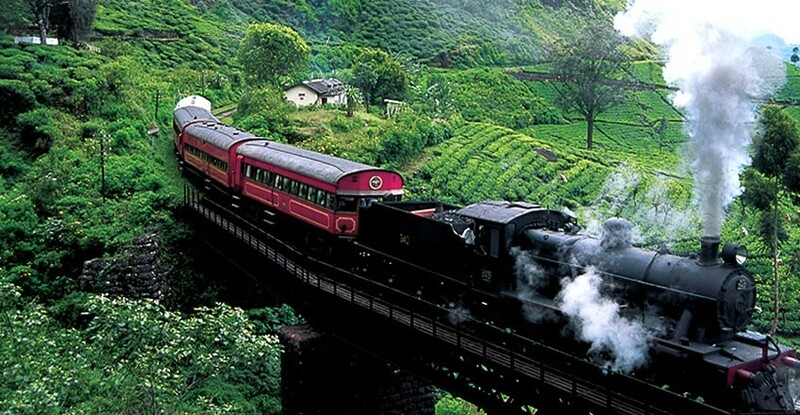 However, travel in a train hauled by a steam locomotive dating from the 1920s or 1940s is still possible by special charter of the Viceroy Special train on journeys to Galle and Kandy. Relics of the early days of railways can be seen in the small Railway Museum, just a short walk eastwards along Olcott Mawatha from Colombo Fort railway station. 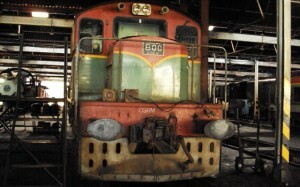 (www.railwaymuseum.lk).The museum consists of a hall with some railway station furniture, including a Tyers Patent Train Tablet Apparatus over 100 years old, and a station platform called Colombo Terminus, and a couple of cute steam locos. Admission is free and the museum is open from 08.00hrs to 16.00hrs every day except public holidays and weekends.